A commercial construction means construction of buildings for the conduct of business. All constructions other than residential constructions like shopping centers, hotels, offices etc. are called commercial construction. Such constructions are made by contractors who will need to fill the commercial construction form. 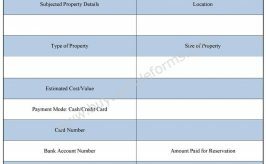 This form contains basic details of the project, project cost, responsibilities and time frame. 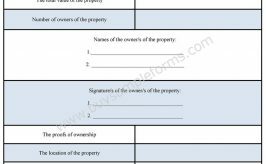 Commercial construction forms are essential documents during the start of the project as well as at the end. There are various types of commercial construction forms. 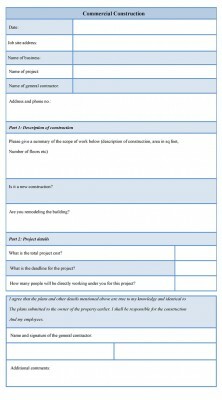 Construction bid forms needs to be submitted by contractors for submitting a construction proposal. 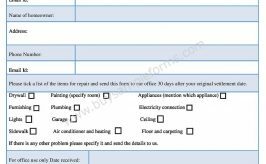 Commercial Construction contract form is an agreement form which is required for giving the contract to the contractor. Also, commercial construction inspection form will be required at the end of the construction. 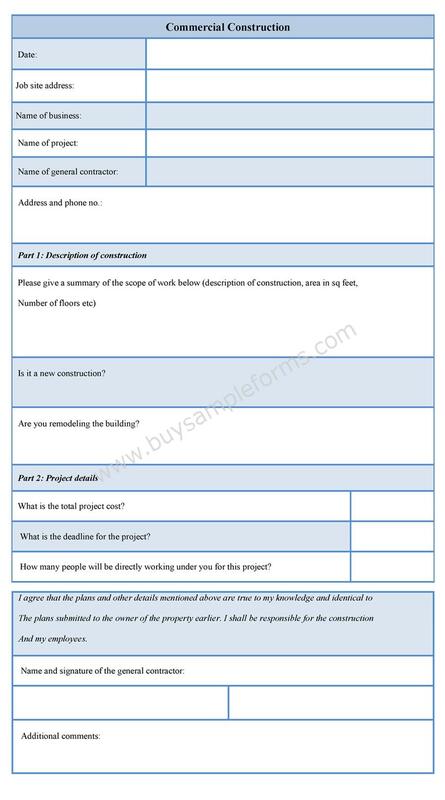 Download sample Commercial construction forms available online. Form Edit and customize in either MS Word or PDF formats.